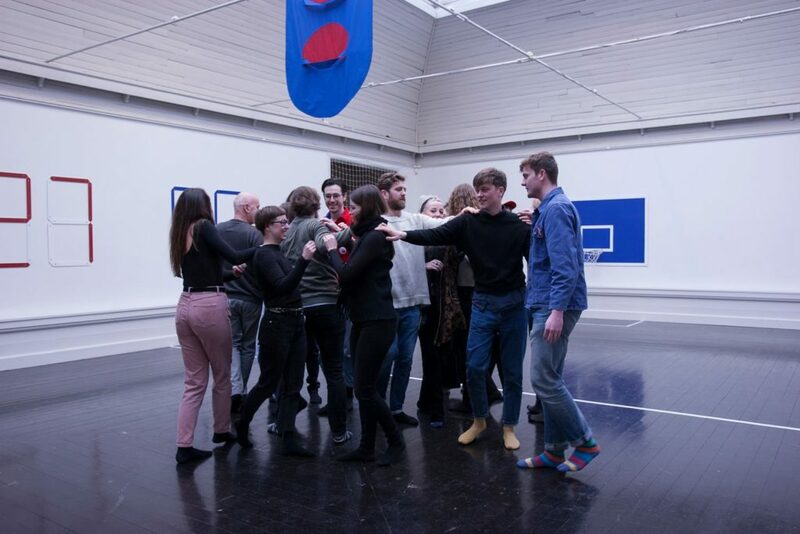 I was invited to give two workshops on a set of compositions as part of Kosmologym festival at the Den Frie Centre of Contemporary Arts in Copenhagen. 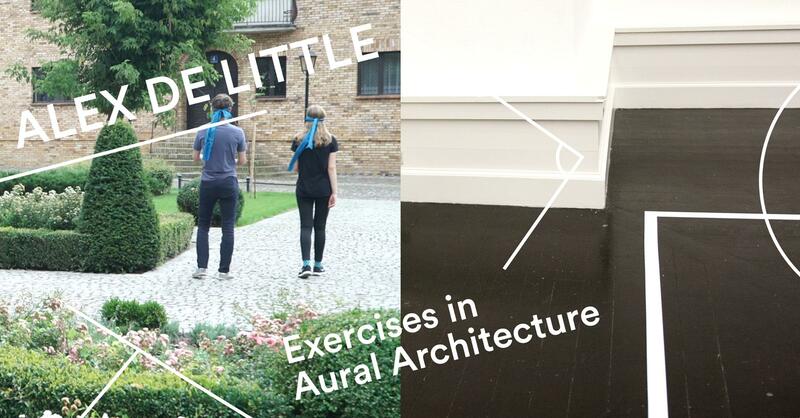 Spatial Listening Games are compositions in which participants explore their relationship to, and understanding of, acoustic space through the creation and audition of sound in a social context. In the workshops I created a range of situations in which the Kosmologym space (within Den Frie Centre of Contemporary Arts) and other locations around Østerbro where acoustic spaces were actively listened to by audiences. 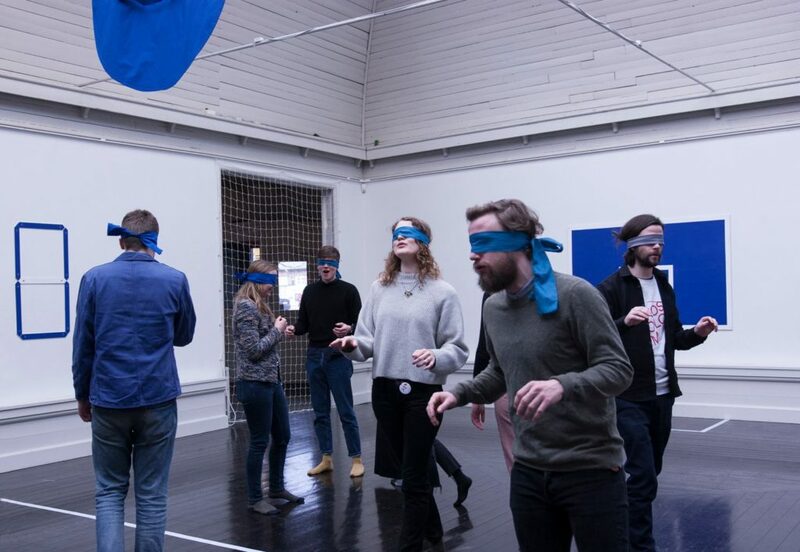 The workshop and pieces use the language of the physical properties of sound to frame (and reframe) space through performative games whose instructions are always determined by listening to the acoustic response(s) of the space. In this context, listening becomes the method through which audiences and participants begin to know and engage with, space. Kosmologym is a collection of games that challenge visitors to consider, compete or cooperate with others*. 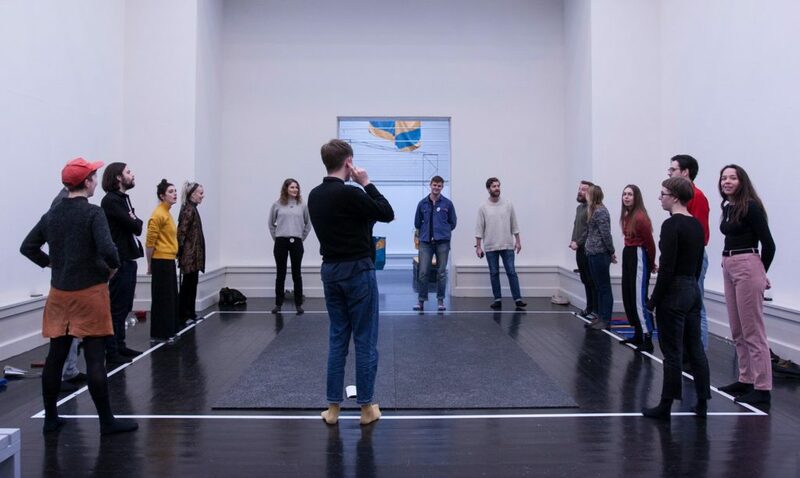 The exhibition, at Den Frie Centre of Contemporary Arts, is a collaboration between two collectives, FUKK (Forenede Uafhængige Københavnske Kunstnere, DK) and Camp Little Hope (US & UK), who both explore means for imagining new ways to be in and of the world. 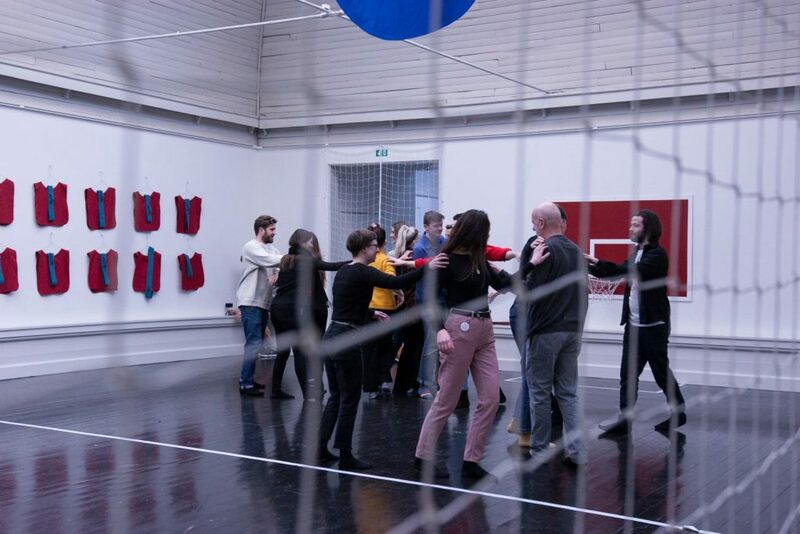 In Kosmologym the two collectives merge their practices to develop games that sketch out an alternative ethics, recombining traditional games (sports, cards, etc) with unusual goals and customarily excluded participants. Kosmologym questions the contemporary move towards an instrumentalisation of human social interaction. Neoliberal capitalism looks to capitalise on these interactions through social media, data mining and other means, creating frictionless exchanges through flat and shiny interfaces. Both digital and built interfaces often optimise a frictionless experience that makes the medium itself invisible and reduces consideration of the framework and our actions in it. This invisibility fosters an unconsidered ethics, towards not only others but also ourselves. Games provide the perfect place to challenge these assumptions. Where the slow accretion of institutions and systems is difficult to challenge in the real world, we can happily discard our preconceptions when invited to a game. Kosmologym will explore human’s future possibilities of ethically re-interacting with ourselves and others by playfully exploring how we treat each other. Collectively it is possible to re-form and re-imagine new kinds of ethics, ethics that begin with an invitation to play.